Wes Memorial Fund Donations for the month of February 2008! A fabulously generous donation made by Anne and Roger Davis, with an equally wonderful matching donation from Anne Davis' Company HSBC. We thank you for your immense kindness and support. Kind donation by Felicia Comella, who writes: "Dear IBR, Enclosed find a donation to your rescue group. Jordan's story touched me to tears. 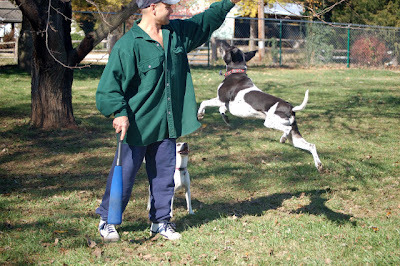 We have a wonderful rescue dog, "Buddy", from Rover Rescue. He was adopted September 10, 2004, and if it had not been for fostering, Buddy would have been put to sleep. He's the most sweetest, gentle soul, part australian shepherd/lab mix, we think! Good luck to Jordan and all the other gentle souls out there in need of a forever home." Kind donation made by Kati and Eddie Bishop in memory of Spanky, who passed away in January. 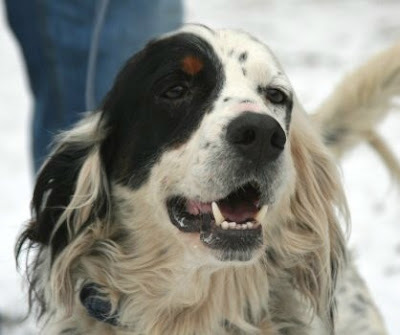 The Illinois Birddog Rescue family wants to send their warmest sympathy to the Bishop family for their loss. We'll never forget you, Spanky! Many warm thanks also to Nance Ceccarelli, who bought an incredible amount of raffle tickets to help dear Elton. We can't thank you enough for your kindness. 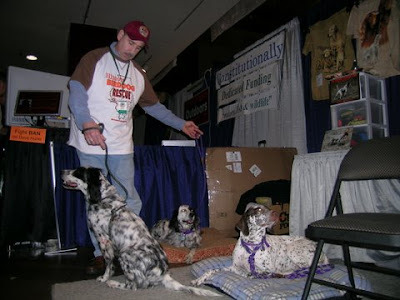 In January 2008, Illinois Birddog Rescue was so fortunate to participate at Pheasant Fest again, which was held this time in Minneapolis. A lot of dedicated volunteers in the area---and some that traveled far, participated in the event and made it a success. We want to thank all of them. We want to thank all of them for their donations. Pheasant fest was a great success and helped raise much needed funds for Elton's surgery. "Joel was in the booth next to us at Pheasant Fest. He was giving away full-sized (5lb) bags of kibble and cans (not sample-sizes). For every can he gave away, he asked people to donate a dollar to IBR. For every bag of kibble he gave away, he asked people to donate $5 to IBR. For every 1 lb bag of raw (that was sort of sample-sized), he asked people to donate $4 to IBR. 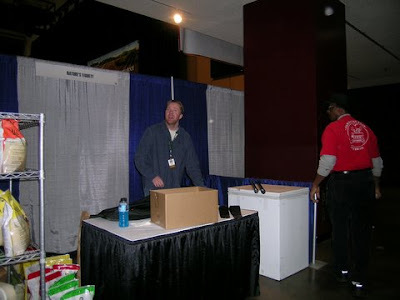 At the end of Pheasant Fest, he donated all food he had left to us. It was a huge donation of kibble, canned food, and frozen raw. We distributed some of it among the Minnesota foster homes who were present and sent the rest to Lisa, the IBR president, for the IL foster dogs." Wes Memorial Fund Donations for the month of January 2008! 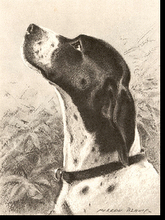 Kind donation by Linda Jaros, who writes: "I love English Setters. I hope this gift will help just a little. Linda"
Kind donation by Yukiko McFarling, who donated proceeds from a sale to Illinois Birddog Rescue.